Today’s creators are often on the move and need desktop-grade power in a machine they can easily carry around. With its potent processor and dedicated graphics, the P65 gives users more than enough power to edit raw HD or 4K video, create motion graphics and navigate complicated spreadsheets on the go. The P65 also features a full suite of ports including an SD card reader, USB Type-C, USB Type-A, HDMI, micro-DisplayPort and an ethernet jack. The notebook’s 15-inch screen features MSI’s exclusive True Color 2.0 technology. Each panel undergoes extensive factory calibration so each color displays with absolute precision. This results in a near-perfect presentation, with close to 100 percent coverage of the sRGB color spectrum. The IPS-level, 4.9mm thin-bezel panel is ideal for those who need extreme color accuracy when editing photos or videos. The P65’s high-performance specifications are comparable to MSI’s top-of-the-line gaming offerings. It features Intel’s latest 8th Generation Core i7 processor and up to a NVIDIA GeForce GTX 1070 Max-Q GPU, allowing for fast rendering times and multitasking. The P65 has up to almost three times more graphical performance than leading competitor in its category. And it uses MSI’s Cooler Boost Trinity, the same system found in the company’s gaming laptops, to keep the notebook cool even during intense workloads. With its ultra-light aluminum chassis, the P65 weighs just 4.14 pounds and measures 0.69 inches thick. At the same time, the slim design does not sacrifice battery life. The P65 has an 82Whr battery for up to more than 9 hours of regular use. In addition to the productivity features, the P65 uses a Windows Hello Certified fingerprint sensor for high-privacy business security, and supports Microsoft Cortana voice assistant. At launch, the P65 will be available in both silver and a limited-edition white. The White Limited Edition shares many of the same specifications as the Silver Edition, but comes with a NVIDIA GeForce GTX 1070 Max-Q GPU, Hi-Res Audio and Thunderbolt 3. At launch, the Silver Edition will be available with either a NVIDIA GeForce GTX 1060 Max-Q or GTX 1050 Ti. 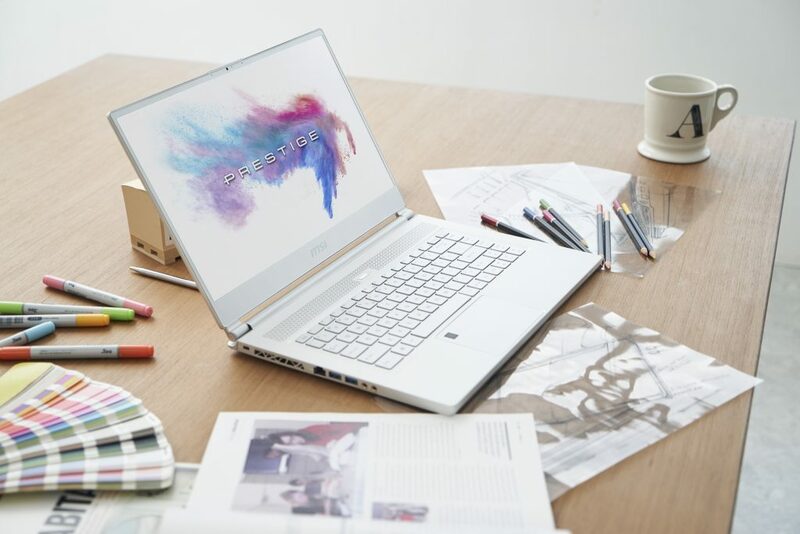 The White Limited Edition also includes an extended one-year warranty and protective laptop sleeve. Learn more about P65 Creator.